/ What are the best adjustable dumbbells – are they worth it for home? Having always lived in small houses with other people around me and as such my gym space being even more limited, space saving gym equipment has always been of interest to me. 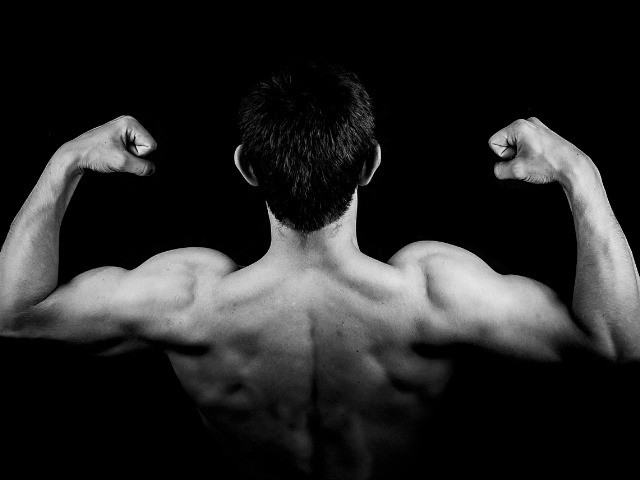 Once I began weight training, having a set of dumbbells that didn’t take up a load of space was the next thing to find. Here’s my guide to finding the best adjustable dumbbells for your home gym set up. 1 What are adjustable dumbbells and how do they work? 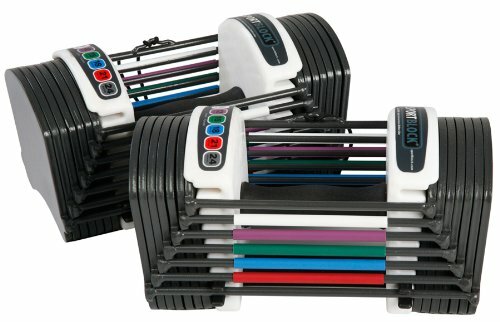 2 Are adjustable dumbbells worth it? What are adjustable dumbbells and how do they work? Adjustable dumbbells are also known by some other names – changeable dumbbells, selectable dumbbells, dial dumbbells, quick change and also multi weight dumbbells. They all mean pretty much the same thing and that is a set of dumbbells that have a variation of the weights that it can be all in one set. How they work depends slightly on the design of the brand that you buy, but generally they are made up of small weight plates and how many you use depends on the weight you want the dumbbells to be at. You use a selector pin, or dial to select what weight you want and this then keeps the right weight as you lift the dumbbell. Are adjustable dumbbells worth it? Buying a set of adjustable free weights is quite an investment and so the obvious question is – are they worth it? Of course that’s something that only you can answer for yourself but here’s my thoughts on the matter. They are worth it if you have a small gym space. It’s surprising just how much space weights can take up whether you have a weight rack with all sorts of sizes on or if you use dumbbells with weight plates. Either way it can sprawl out and take over the place. If you want a nice, compact set then these will be worth it. If you use many different weight combinations in a workout then these are also a great idea because of the speed at which you can change the weight. The only thing that could compare would be to have a set of weights in all different combinations on a rack and for the home gym that often isn’t possible to the extent and variety that you would probably want. As you can imagine adjustable dumbbells are also way quicker than using weight plates on a dumbbell bar which take quite a bit of time to change meaning they aren’t really suitable for a good workout where you’re wanting to keep the momentum going. What you end up doing is keeping your weights at set combinations and not changing – not great for a varied workout for all your muscles! Having the adjustable set means you’re not put off doing different exercises because of needing to change the weight. And finally, if like me you’re a personal trainer, they can be great for being compact enough to take to clients. So let’s look at our adjustable dumbbells reviews for what’s on the market at the moment. I’ll list these in price order, from least expensive to most, although they do change so check them out on Amazon using the links to see the latest price. My only gripe about these is that they don’t have that dumbbell look and feel to them so that can take a while to get used to. However they have a lot of fans and they are a good value set. Power Block also do other sets if you need a higher weight range but this one is the best cheap adjustable dumbbell set I’ve found. Check these out on Amazon to see more reviews and latest price. This set from Orbus is a slightly heavier set per hand than the last one. This starts at 2kg and goes to 25kg per hand with each weight plate being 1.15kg. It uses a slide and lock mechanism to select the weight that you want. There’s a contoured handle for a secure grip. These are a great set, with many positive reviews, that have the look and feel of traditional dumbbells but the flexibility of selectable ones. This set is similar in size to the Orbus set above with the weight range being 2.5kg – 25kg. They are adjusted by a dial at the end of the weights. Being octagonal in shape they don’t roll around which is a good advantage! The downside of this pair, according to reviews, is that they feel a little unwieldy and large which takes some getting used to. This set can be bought with a stand which I think is a great addition to the item. Check out this set on Amazon here. 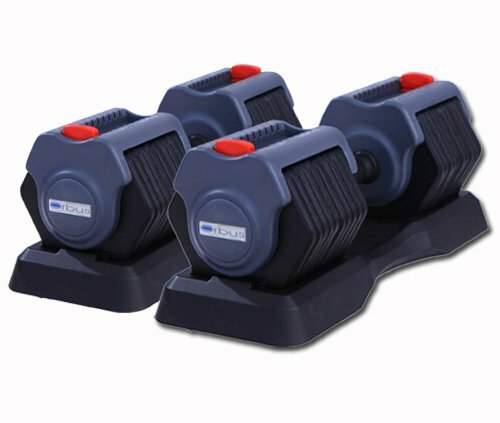 These dial dumbbells from Bowflex come in a range of 2 – 24kg per hand and out of all of the sets reviewed here look the most like traditional dumbbells. They are very easy to change the weights with the dial at the end of the dumbbell and with just a quick twist you will have the correct weight. 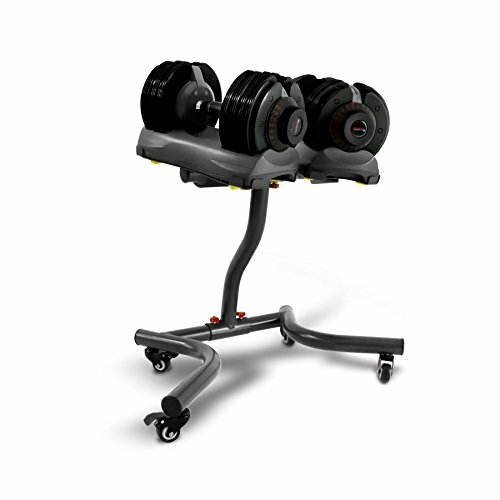 It comes with a workout dvd and there’s an option to get a stand for your dumbbells which would make storing them in a dedicated gym space much better. These are definitely some top rated adjustable dumbbells and are really high quality. I hope you found this guide to the best adjustable dumbbells worthwhile – look out for individual reviews of all the items above coming soon and if you have any comments on any of the products mentioned do let me know.